4 Bedroom/3 Bath Beauty and former MI Homes model boasts enhanced landscaping, custom ceiling & wall features, deep crown molding, custom drapes, granite tops in Kitchen & Master En-Suite, huge Bonus Room with 9' ceiling & built-in desk, wood floors & built-in cabinets in Bedroom 4 (currently used as an office), high energy efficiency rating (HERS 70) with insulated windows & attic radiant barrier, 3 car garage, security & irrigation systems. 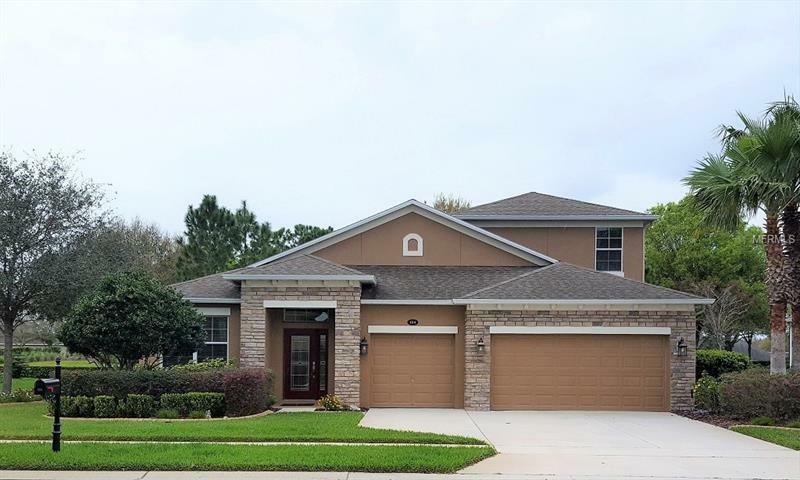 Located in the gated community of Estates of Auburndale, featuring twin ponds with fountains and dual entrances; the home is steps away from the community heated pool with separate toddler pool and bath cabana, basketball court, play ground & turtle preserve, and is situated on over 1/4 acres with easy access to I-4 Tampa/Orlando. This is a "must see" home if you are considering a purchase in Auburndale, call for an appointment today! Buyer to verify all information.